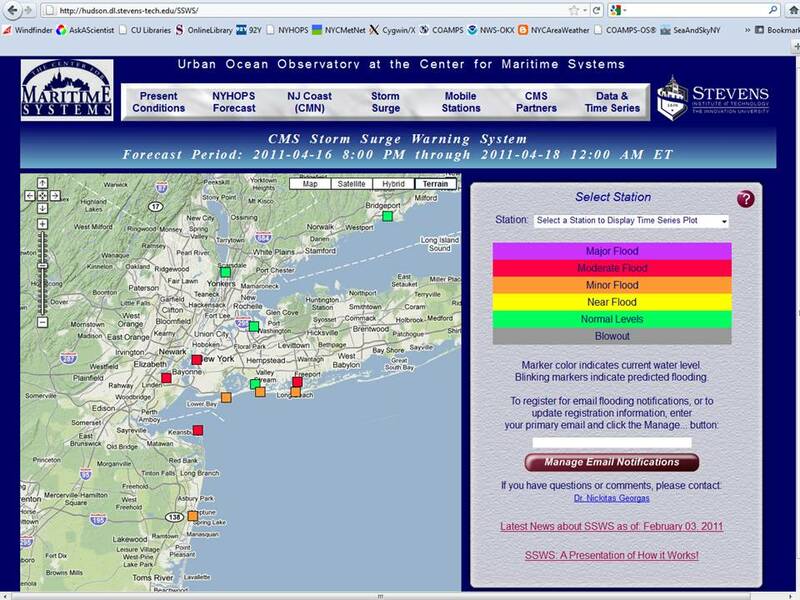 I’ve been receiving automated notifications on coastal flooding from the Storm Surge Warning System today. The nor’easter that is hitting us is packing 20-40 mile per hour winds, and driving water against our shorelines. Water levels are expected to peak at 2 feet above normal high tide, and with a moderately large high tide this evening superimposed on that, we are seeing moderate flooding at several coastal locations. This event is an interesting example of a rain- and wind-driven flooding event, which has the potential to pack some surprises for people in the business of predicting flooding. The problem is, flooding is divided into “coastal flooding” and “inland flooding”, meaning that the problem of wind-driven flooding (storm surge) and rain-driven flooding (river stage), are studied by oceanographers and hydrologists, and in spite of it all being water, the two fields and prediction systems generally mix like … water and oil. The problem is, the worst wind-driven storm surges typically come from wet systems that also cause heavy precipitation (e.g. 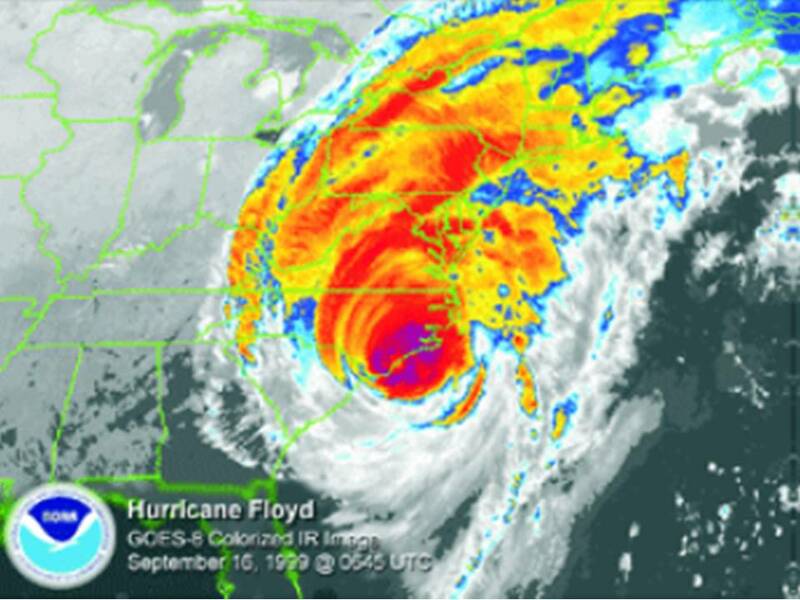 Hurricane Floyd, below), yet storm surge, rainfall and hydrology have never been merged into one computer model. There are many freshwater confluence zones near the coast where both kinds of flooding are important, such as some low-lying parts of The Bronx and Brooklyn, of New York City. It just happens that people tend to like living near the coast, and often live in this “nether region”. Therefore, if we want to serve society, the scientists have some catching up to do. Hurricane Floyd in 1999 caused both high storm surges and extreme precipitation, exceeding 12 inches of rain in some coastal counties. Shown here are satellite-derived colorized cloud top heights. While it isn’t incorporated in their coastal flood models, I also noticed the National Weather Service also has a warning out, saying “locally heavy rainfall is likely to exacerbate coastal flooding.” So while it isn’t modeled, it is at least being acknowledged. 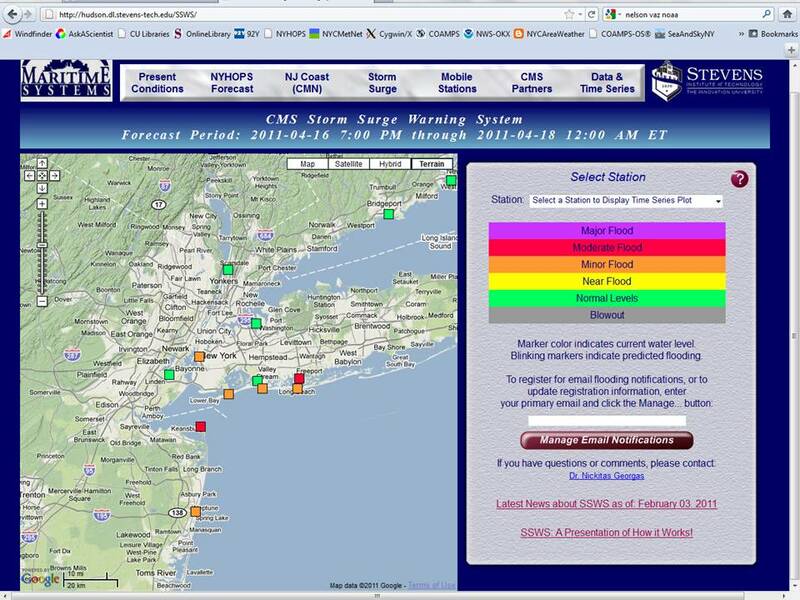 This entry was posted in water, weather and tagged flooding, Floyd, hurricane, hydrology, New York City, nor'easter, storm surge, warning system, wind. Bookmark the permalink.